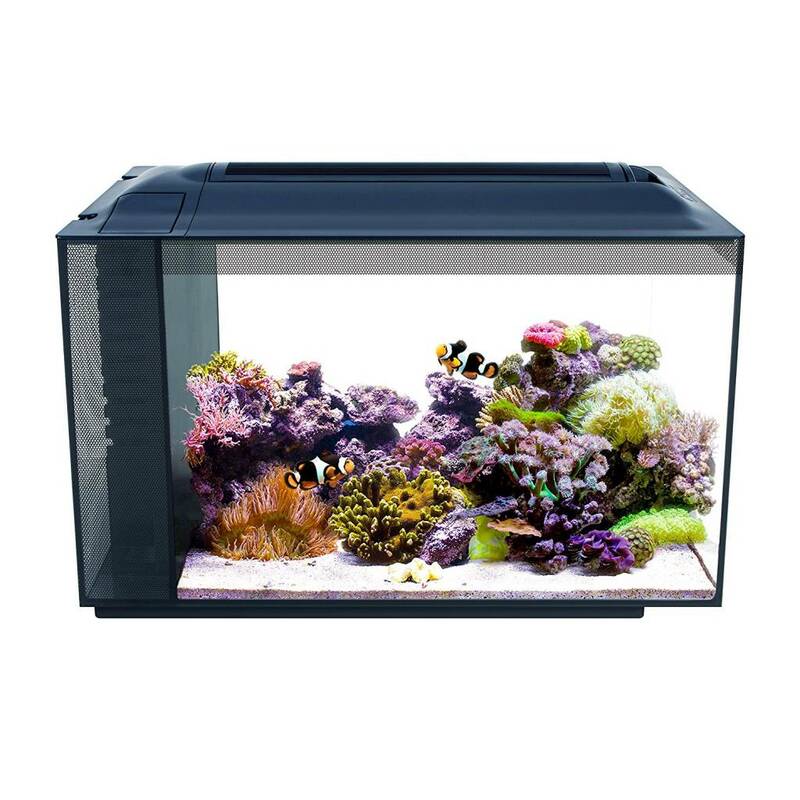 Enjoy a thriving saltwater environment that fits on any desk or countertop. Fluval SEA EVO Marine Aquarium Kit boasts compact, space-saving design without compromising performance. Powerful 3-stage filtration with over-sized media PLUS high output reef-capable LED lighting delivers performance rated for aquariums several times its size. 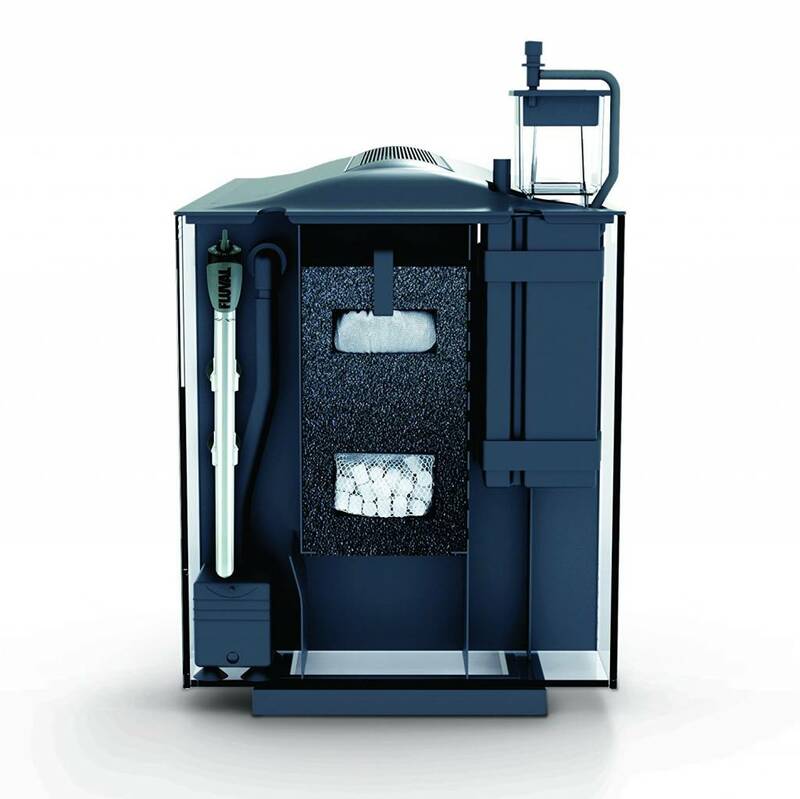 The result is amazing water quality and optimal lighting conditions for healthy coral growth, color and conditioning. 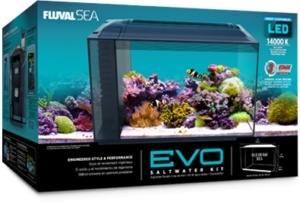 13.5 gallon EVO Marine aquarium measure 22" x 11.5" x 15" high. Go ahead and grow your mini reef with confidence and creativity. 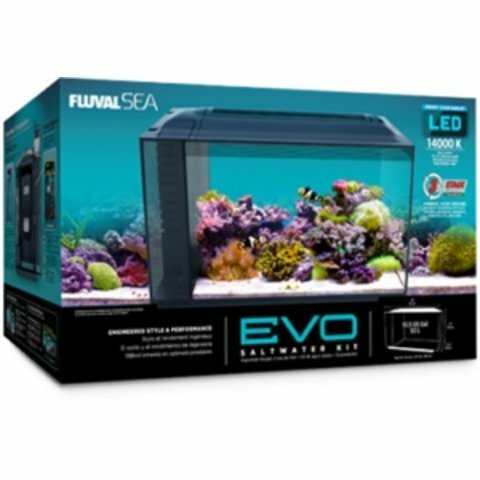 Endless possibilities await with the 13.5 gallon Fluval SEA EVO Marine Aquarium Kit.